I downloaded the latest Ubuntu (version 9.04) and installed it on my laptop the other day. So I figured wtf? 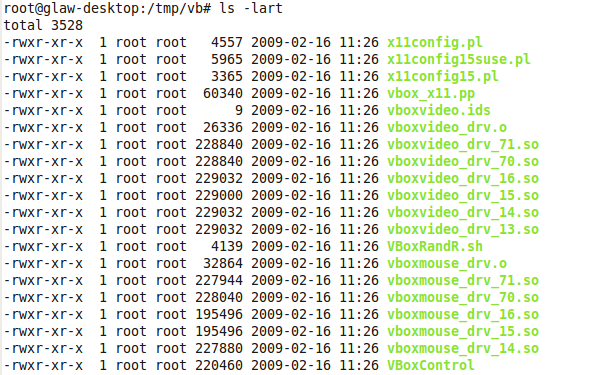 lets loaded it up into VirtualBox on the Mac. The install went pretty smoothly, pointed VB at the Ubuntu .iso image, installed pretty quickly. Trying to get the “Guest Add-ons” installed were another story. 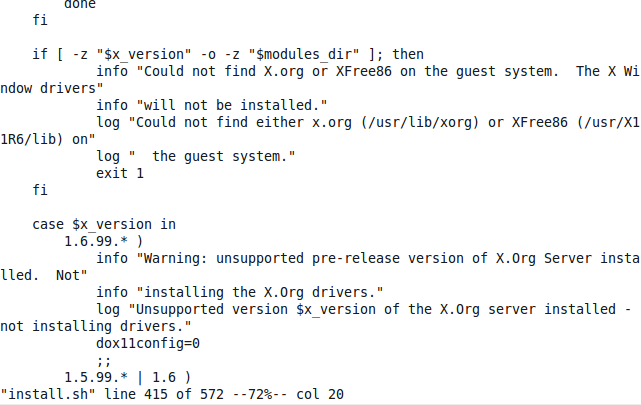 So, it seems that the “Guest Add-ons” (GA) support X.org version 1.5.99 and 1.6 … Ubuntu 9.04 ships with 1.6.0. That trailing .0 makes a difference to the installer. Mount the add-ons image (Devices -> Install Guest Additions). You should have a cd icon show up on the ubuntu desktop. Reboot and cross your fingers.